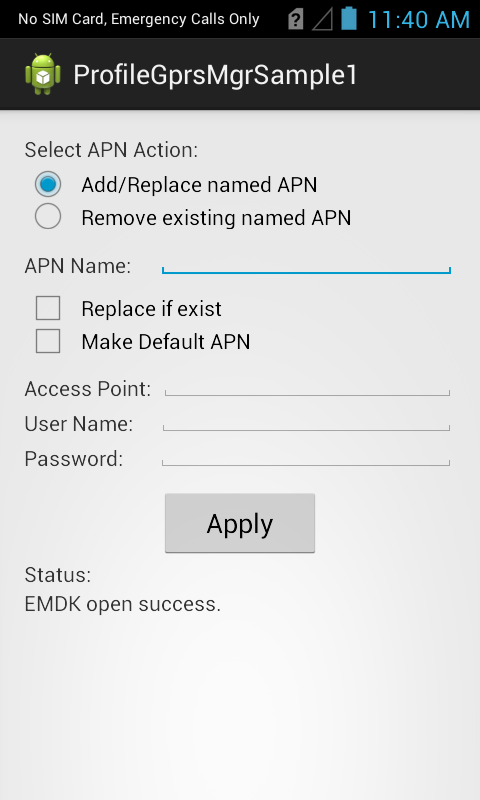 This sample application will allow you to Add/Replace named APN and remove existing named APN. 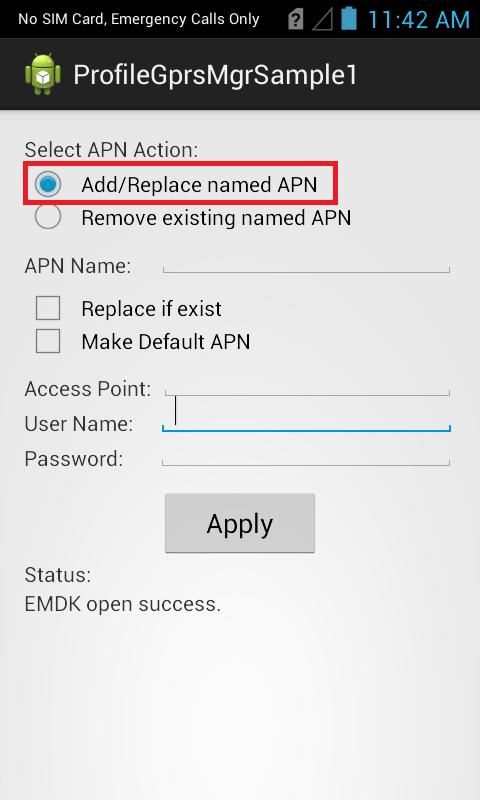 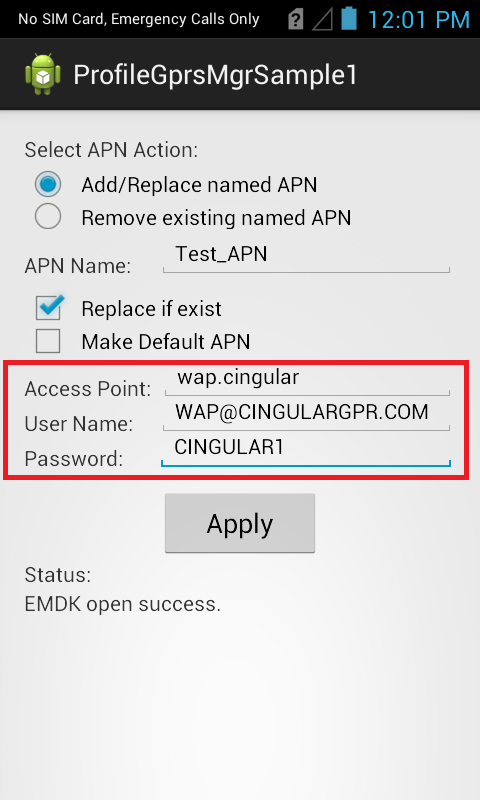 The EMDK for Android allows you to add or remove APNs to a Symbol device. 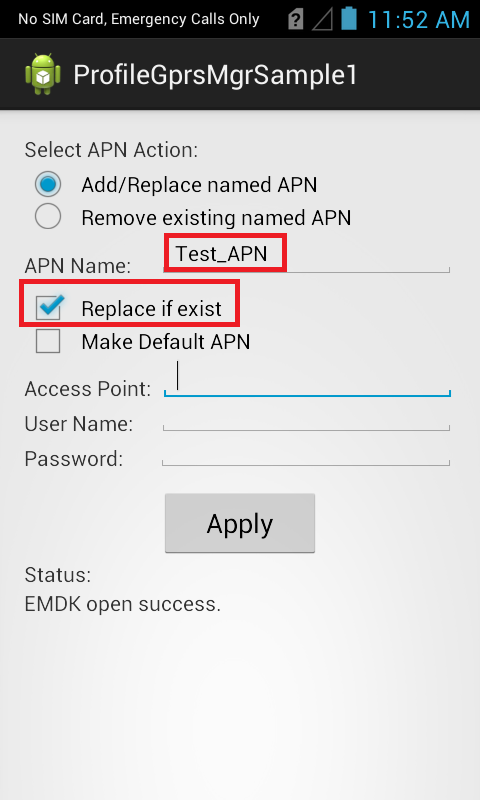 Provide APN Name (Ex. 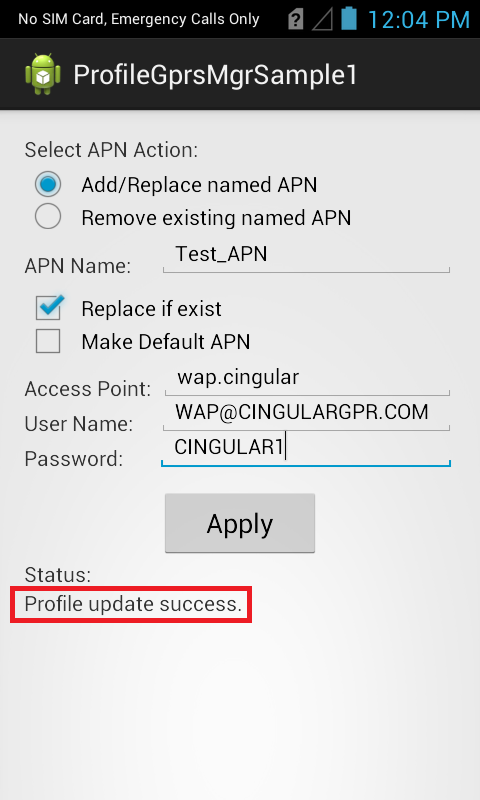 "Test_APN") and check the checkbox "Replace if exist".